This basic Military issue clasp knife has been issued to British troops for many years. 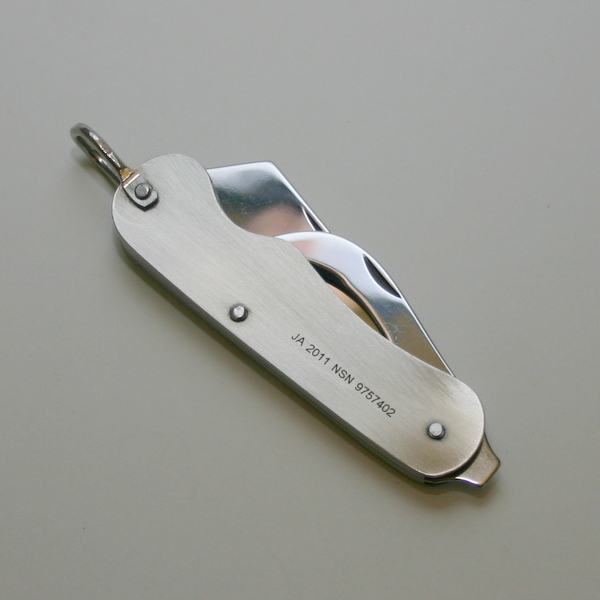 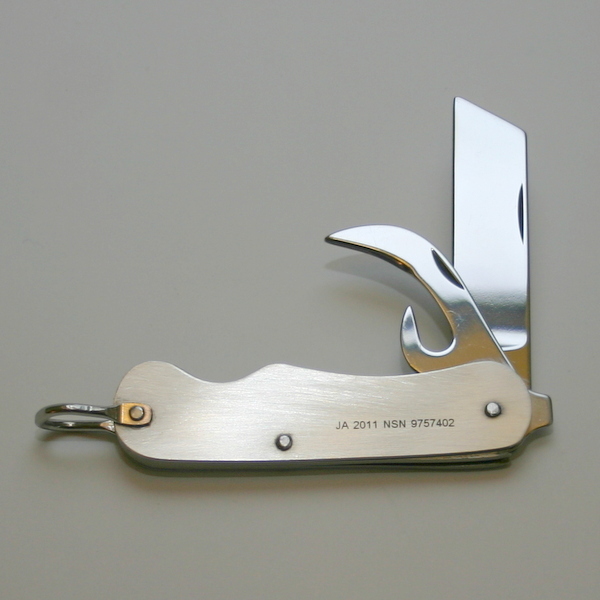 Providing a main blade and a bottle & can opener blade plus a standard screwdriver head and lanyard loop, this piece is made of stainless steel in Sheffield, England. These knives are solid and functional and are designed for rugged use and simple operation.